Tribune Chronicle / John Vargo Kiersten Tricker of Badger clears the high jump bar at 5-feet Saturday at a meet at Canton GlenOak. PLAIN TOWNSHIP — It’s not even mid-April and a couple of Badger High School high jumpers are in late-season form. Braves senior Kiersten Tricker, who made last year’s Division III state meet, did more than just exceed last year’s heights. 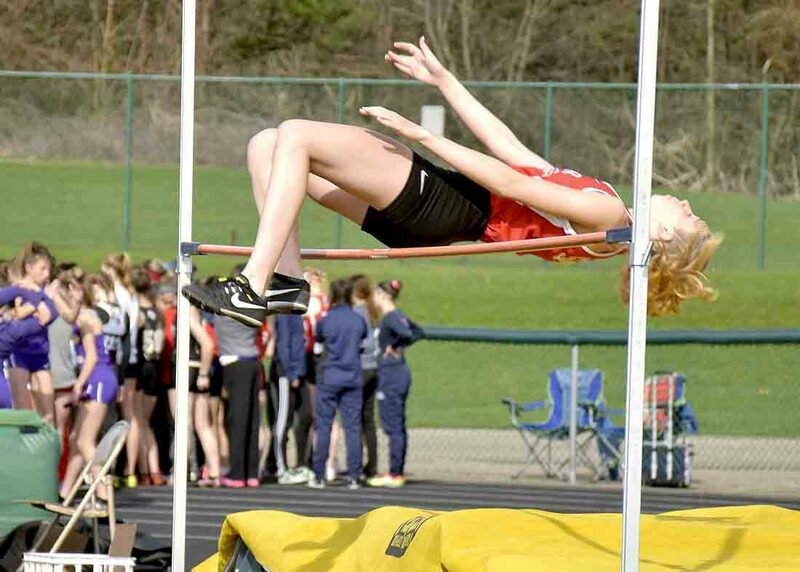 She went 5-feet-5 in perfect conditions at the East Canton Invitational on April 6, besting the school record of 5-2. That gives her plenty of confidence heading into the postseason meets next month. 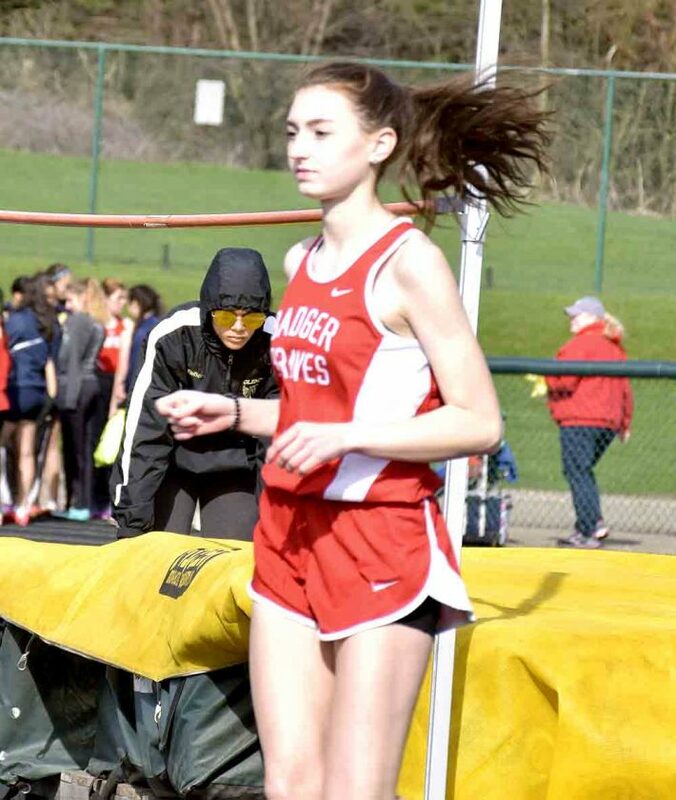 Tribune Chronicle / John Vargo Badger’s Suzanne Shaffer after clearing 5-0 at Saturday’s GlenOak Eagle Elite. She, along with teammate Kiersten Tricker, are two of the best high jumpers in the area. Both are looking to get to this year’s Division III state meet. Sophomore Suzanne Shaffer only made 4-10 last year, but also reached the previous school record of 5-2 at East Canton. It was something for a sophomore to reach that height so soon. 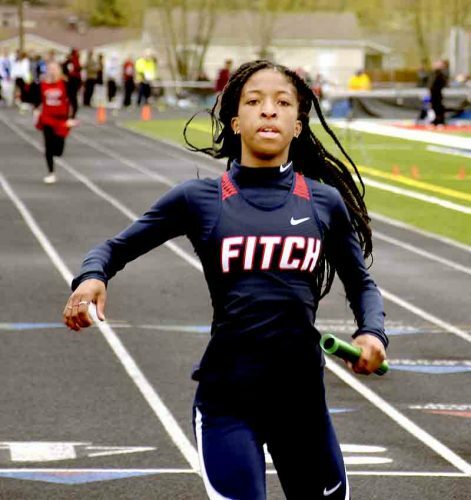 She then finished third Saturday at the GlenOak Eagle Elite meet, while Tricker was fourth. Two Division I athletes took the top two places. Both Badger athletes went 5-0 in the Saturday morning competition. Shaffer was third over Tricker on fewer misses. Tricker has been in pressure situations before, so she knows how to handle it. She won a jump-off to go to last year’s state meet. Tricker shared her knowledge with her younger teammate. “Continue practicing as much as I can just so I can improve on my form and jumping,” Tricker said. The last time a Northeastern Athletic Conference jumper had great success at state was when Maplewood’s Jordan Moxley won the Division III high jump titles in 2010 and 2011. Badger hopes it can send two high jumpers to the state meet in Tricker and Shaffer. Having two make state would be better for not only Badger, but for both Tricker and Shaffer.